It’s Birthday Week here at Karelia Software. Sandvox 2 just turned a year old! 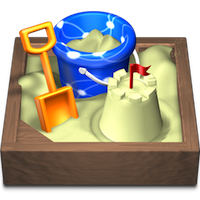 Plus, the very first version of Sandvox went on sale May 16, 2006. What a long way we’ve come in just six short years! We’re especially thrilled with the reception that Sandvox 2 has had this past year and we’re really looking forward to another amazing year. So to celebrate, we are giving you a present! If you are still using Sandvox 1.x — and we know some of you still are — this week is your ideal opportunity to upgrade to Sandvox 2 for a super-low price. Normally, an upgrade to Sandvox is discounted $30, taking the regular price down from US$79.99 to $49.99. But this week only, you can save $50 by upgrading for a mere $29.99! How can you resist? To upgrade to Sandvox 2, go to our online store, click “Upgrading from a previous license?”, and enter your original license code from Sandvox 1.x. Click “Apply” to see the new price, then pay with a credit card or with PayPal — your choice. We’re also offering a substantial discount to members of this list (and your friends) who don’t yet have Sandvox. Enter the coupon code BIRTHDAY on our online store, and save $15 off the purchase of a single-user license. The party can’t go on too long, so be sure to get your license before the end of day on Monday, May 28th. 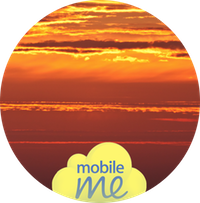 MobileMe Deadline Looms: Take Action Now! If you’ve been publishing your website to MobileMe, it’s getting close to lights-out. As Apple has said, after June 30, all websites published to MobileMe will no longer be accessible. This means websites at “me . com” and “mac . com” as well as any custom domain that you may have set up that points to your MobileMe account. Don’t put off transitioning your website to another web host any longer! If you make the changeover now, you can still publish one final update to MobileMe that tells your visitors (and search engines) where to find your new home. Encourage visitors to your old website to update their bookmarks before it’s too late! Then, just start publishing your new site to your new web host. You need to do this sooner rather than later, so that after June 30, there aren’t a lot of your potential visitors wondering what happened to your website. One of Sandvox’s great strengths is that it can publish to just about any web host. If you are looking for a hosting company, check out A2 Hosting. We’ve partnered with A2 for four years now, so a lot of Sandvoxers are using A2 for their hosting. A2 offers a great price, plus an extra discount for Sandvox users. If you have friends who are still using Apple’s iWeb, especially if they’re publishing their sites to MobileMe, they are going to have to jump ship as well. Since you’re familiar with Sandvox, we’d truly appreciate you mentioning Sandvox to them (at www.sandvox.com) as a great tool to take over the job from iWeb. You can forward this email to them, and maybe mention our iWeb transition guide. We stand ready to help. Here’s to another great year … See you in the Sandvox!